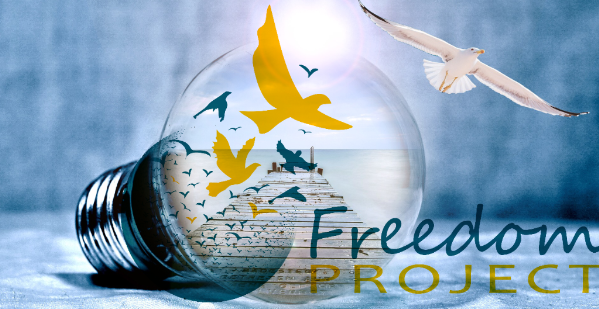 I’m so grateful to Freedom Project. I’ve never been happier in my life than I am right now. I realize that all my life my brain has been randomly selecting strategies for warning signals. Those strategies looked like tragic expressions of unmet needs, because I didn’t have the awareness of my needs or a clear understanding of my feelings. I lived in either a me-first world or a me-last world. The outcome were feelings of depression, despair, loneliness, separation. I now live in a we-first world. I now know that all the wildest dreams are influenced by other people’s wildest dreams. My needs can only be fulfilled where they intersect with the needs of those around me. Now instead of a “no” to my needs or another person’s needs, it’s a “yes” to where the other person’s needs intersect with mine. That awareness and intentional loving act serves a whole list of other needs for me. My need to contribute to the well being of another. My need for connection. My need for compassion and a shared reality. I literally have no more enemies–only brothers and sisters with met or unmet needs. I’m so pleased with myself. (I am a beautiful, valuable person). *Mentors are a core group of inmates who have embraced the practices of Nonviolent Communication and mindfulness. Many of them volunteer in the classroom, facilitating both small group activities and large group discussions.